See you in off during Millésime Bio? 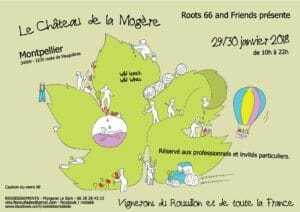 During Millésime Bio, we will be at the Château de la Mogère in Montpellier with Roots 66, next 29th & 30th january, from 10am to 10pm. 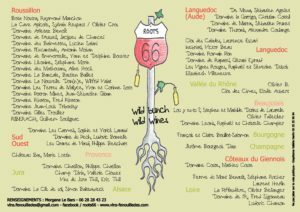 We are a wine estate totally comitted in organic farming. Our terroir, mostly made of clay and limestone, gives us well balanced, mature and greedy grapes. Most of our energy is focused on the vine. For additional information or an appointment, please contact us by mail info@lescarmels.com or by phone +33 (0)6 32 24 35 79. 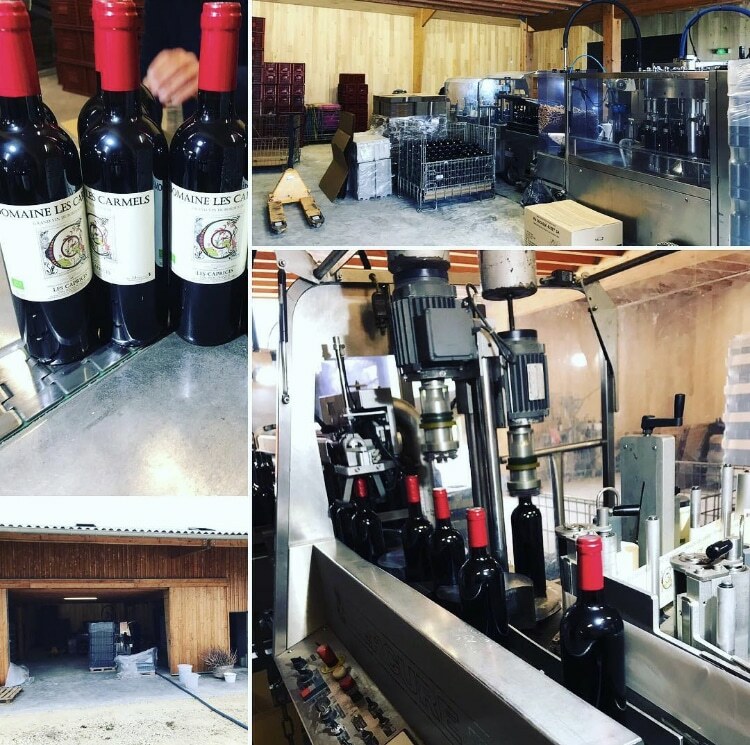 A busy month of january for Domaine Les Carmels! We are waiting for meeting you soon and wish you happy end of year celebrations! We were in Bures last week for a big tasting! Thank you Joffrey for having us in La Part des Anges! It was a great tasting! 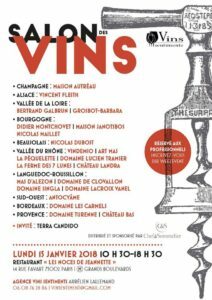 As most of the estate of Bordeaux, 2017 has been a tough year in Domaine Les Carmels. Spring frost destroyed almost 80% of our harvest ant especially all the cabernet franc. That’s why we won’t be able to produce the cuvée Les Vendanges. That’s too bad because that’s a nice vintage coming up with a beautiful precocity in the spared plots. Despite a weak harvest, we decided not to use the frozen plots. 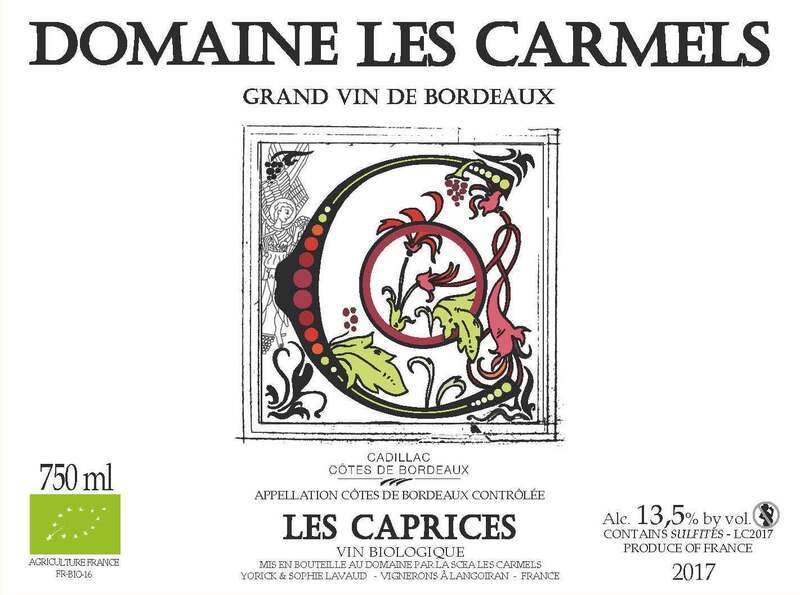 2017 will be a historically precocious vintage for us and we will produce our cuvée “Les Caprices” with one of our best plot of merlot “La Côte Rotie” which wasn’t totally frozen on september 12th.